We are the leading organization in the industry to provide our clients the best quality array of Motorized Sample Cutting Machine. Features: Reliable Compact design Dimensionally accurate. - Variable speed with inverter motor. - Ball nozzle Airflow work table. Automatic sharpening device. - Knife cooling silicon Pad. 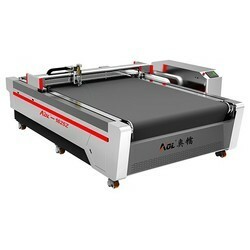 Portable laser cutting machine size 400x600 mm. 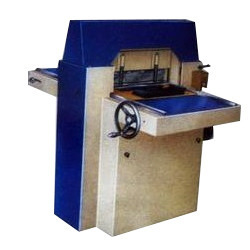 We rank on the top in by offering best quality of Straight Knife Fabric cutting Machine, which is known for its remarkable finish and quality. We are counted amongst reckoned names in the industry, committed towards manufacturing a broad gamut of Industrial Fabric Cutting Machine. We are engaged in providing Automatic Cloth Cutting Machine. This machine is developed by utilizing quality-assured material which is obtained from the reliable merchants of the market. Our presented machines are highly praised in the markets due to their light weight and consistent working. We are one of the well-distinguished companies in the market that is into offering Ultrasonic Fabric Cutting Machine.